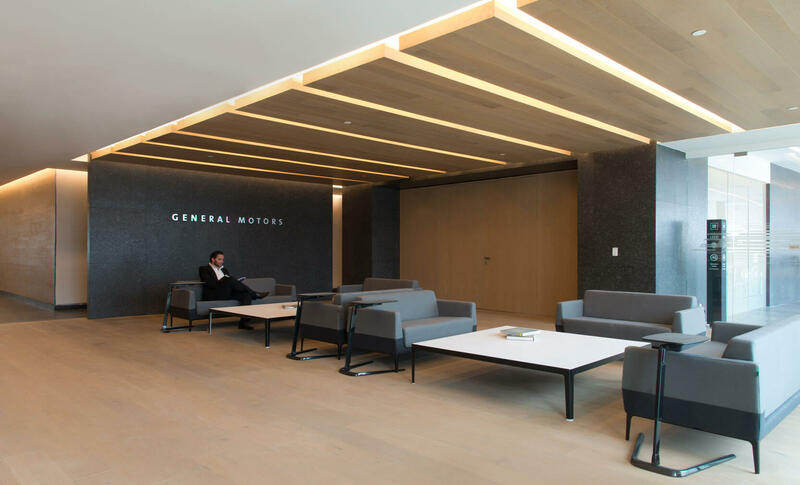 The new central offices of General Motors in Mexico occupy floors 9 to 16 of Corporativo Antara II, one of the corporate office blocks in the Antara Master Plan in Nuevo Polanco. The dynamic teamwork character of this automobile company enabled the Interior Design department at SMA to engage in depth in interpreting its specific needs, resulting in the creation of working spaces that promote efficient communication and workforce development, as well as the wellbeing of personnel. 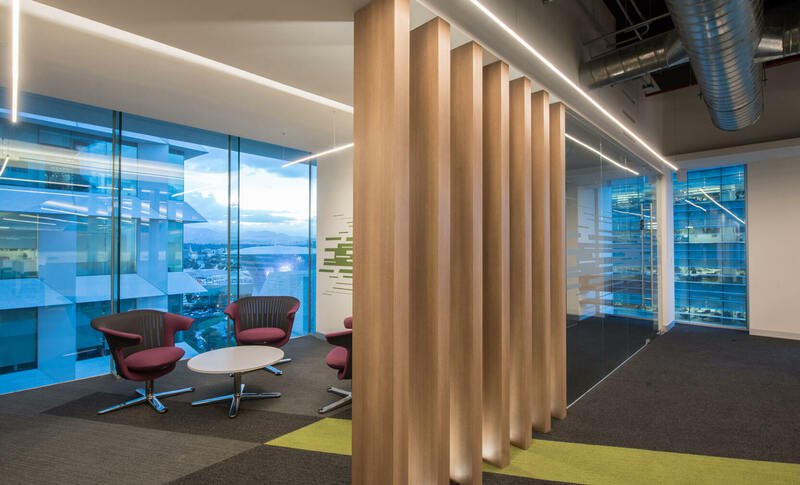 Within the 7 levels occupied by the GM Offices, the choice was made to characterize the office environments according to an attractive and practical range of colors that respond to the institutional values of the company. Bright colors—such as blue, green, yellow, red, orange and purple—were used for the furniture and for the textures of floor and wall finishes, united by a minimalist design while harmonizing with the rest of the specified materials. 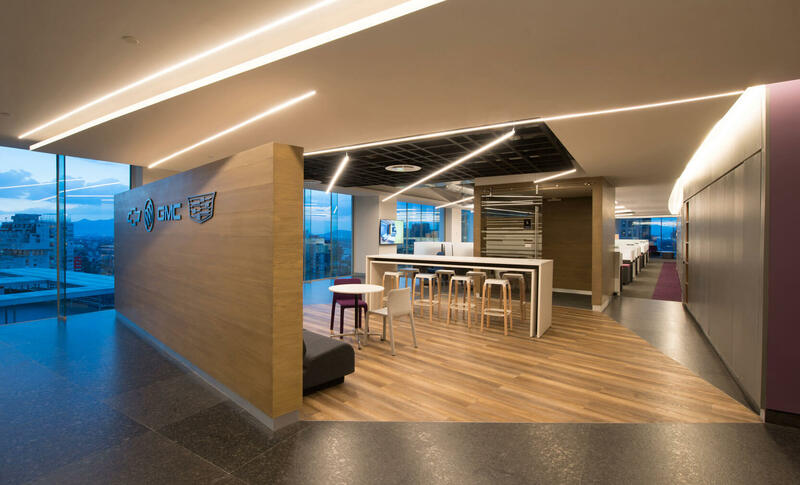 The exact combination of the selected color range together with the serenity of the black granite, the neutral tones of the wood and series of white lights define an atmosphere that is conducive to the productivity and comfort of employees. 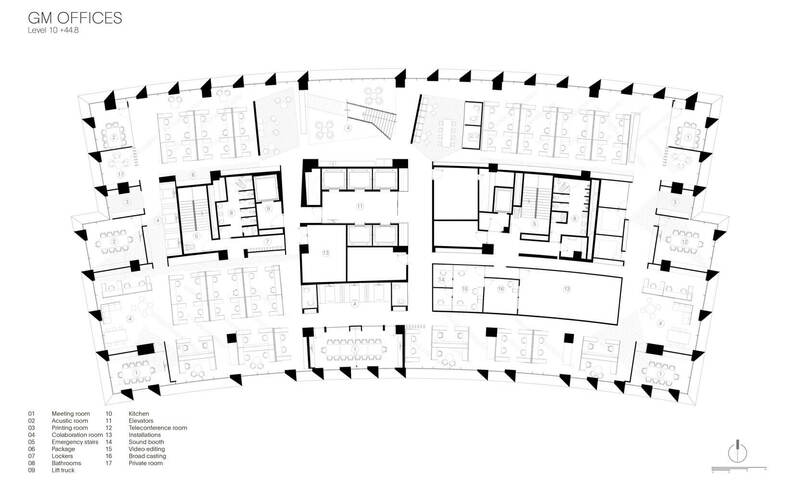 In terms of the layout, the meeting rooms on each floor are located around the perimeter, together with more private office modules. 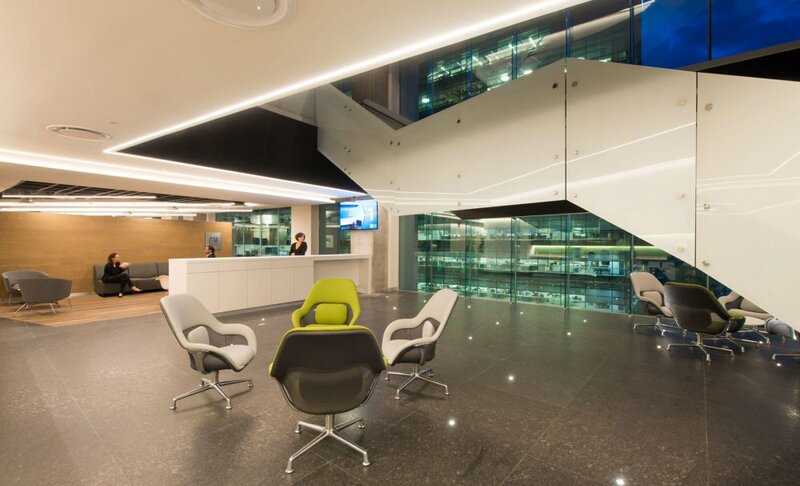 The central areas are occupied by the services, elevator lobby and open-plan working areas. The individual well-being and freedom of movement are priority concepts in the philosophy of the company. Therefore, it was proposed to introduce different models of open-plan, shared areas that offer comfortable furniture and an informal atmosphere allowing staff a range of options to work in a freer manner, to relax while they drink a coffee, or engage in creative working meetings. 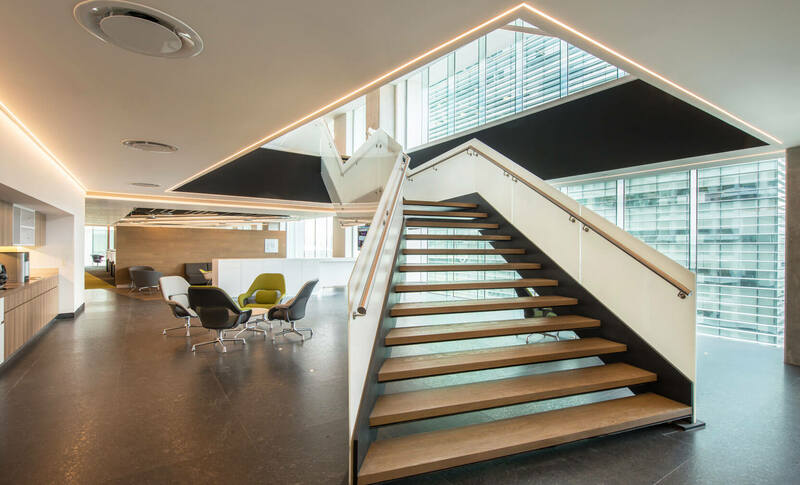 One of the most eye-catching elements of this office project is the sculptural staircase that connects floors 10 to 12. 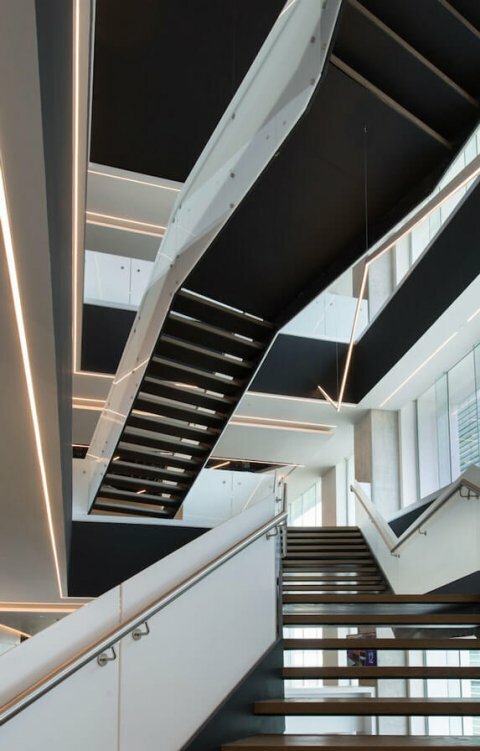 In elevation, it is an intersection of two diagonals that permit different perspectives with glass banisters and a linear play of lights that guide and accompany the direction of travel. 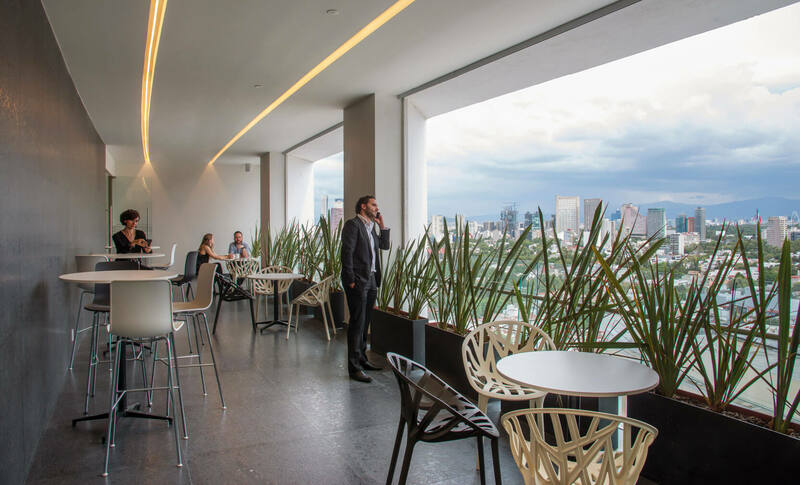 The penultimate floor of the building contains the principal executive zone and a terrace with views over the surroundings of Polanco. This level is identified by the use of wood finishes on floors, walls and screens, providing a sensation of elegance and sobriety. The services for staff on the final floor include: dining room, classrooms, gym, Fun Area, bank, Quiet Room, Lactation Room, Infirmary and Clinics.